Werewolves and lycanthropes and loup-garou, oh my! The full moon is bringing some grisly murders to Chicago, and the only one who can do anything about it is Harry Dresden! 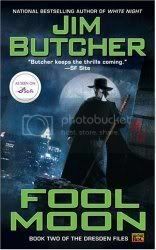 The second book in Jim Butcher's Dresden Files series, Fool Moon really doesn't let up on the thrills for the entire book. I found myself having to put the book down simply because of the amount of nonstop action. A good follow up to Storm Front, I'm really hoping the next book is just as well written, but paced a little slower. they are fun reads though. 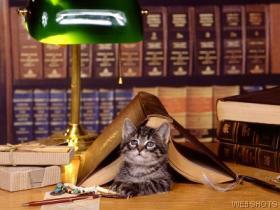 you might want to also check out his Codex Alera. A bit more traditional fantasy...though not entirely. I heard Butcher talk on the radio when his most recent book was published over hear and he sounded like someone I out to explore - oh dear, more for the pile!